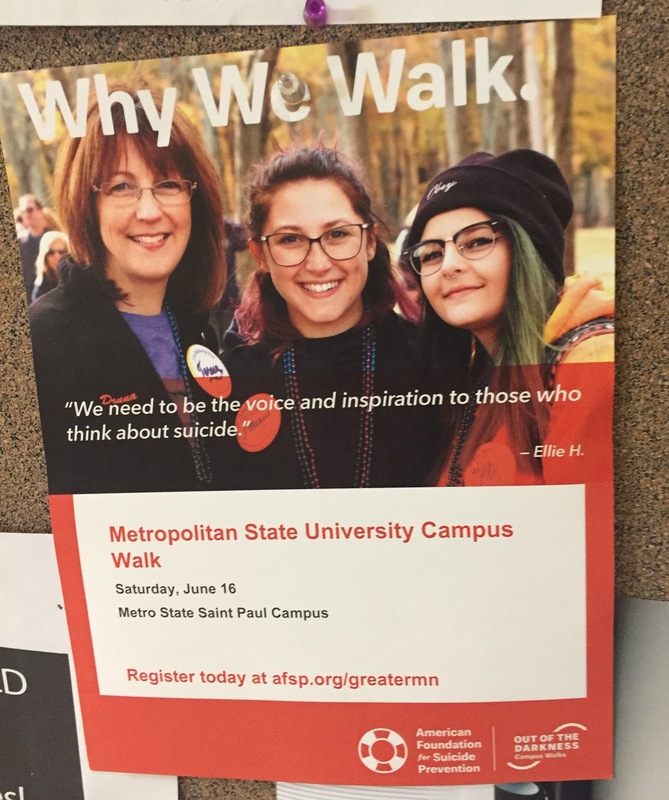 A Student Center bulletin board holds a poster for a June 16 benefit walk on the St. Paul campus that is part of a broad effort at Metro State to prevent suicide. To show their personal connection to the suicide prevention cause, walk participants can wear colorful honor beads: white (lost a child), red (lost a spouse or partner), gold (lost a parent), orange (lost a sibling), purple (lost a relative or friend), silver (lost first responder/military), green (struggled personally), blue (support the cause), teal (friend or family of someone who struggles). May is Mental Health Month, when people and organizations throughout the U.S. work together to promote mental health awareness. While most symptoms of mental health conditions are not life-threatening, there is one that is: suicide. According to the CDC, there is one death by suicide every 12 minutes in the U.S.
Now, Metropolitan State University has more resources to prevent suicide. Metro State has received a Garrett Lee Smith (GLS) Campus Suicide Prevention Grant from the Substance Abuse and Mental Health Services Administration (SAMHSA). SAMHSA is an agency within the U.S. Department of Health and Human Services. The $101,425 grant will fund projects on campus through September 2019. But why did Metro State apply for the grant and who will it serve? Results of a recent health survey made clear that many Metro State students are affected by stress and mental health diagnoses. In fall 2017, Metro State conducted the American College Health Association’s National College Health Assessment II to survey students about their health. Participants answered questions on a variety of topics, including mental health. 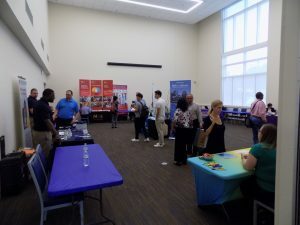 Of the 396 Metro State student participants, 81.5 percent had felt overwhelmed and 47.7 percent felt things were hopeless in the past 12 months. Furthermore, 30.7 percent of students had been diagnosed with anxiety, while 29.2 percent had been diagnosed with depression and 13 percent were diagnosed with panic attacks. In fact, 7.9 percent of students seriously considered suicide. The GLS grant gives Metro State funds to create and expand various resources on campus, including events, trainings and a suicide prevention coordinator staff position. One of the results is the Metro State CARES (Creating Awareness Regarding Suicide) initiative. It includes a 24-hour resource line that students can call to talk to licensed counselors. Students who need support can talk to someone at any time by calling 651-793-1568. Calls are confidential and free. 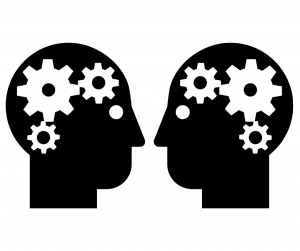 The grant also funds mental health first aid training and gatekeeper training sessions like Kognito, a 45-minute online training course. The Kognito course teaches faculty and staff how to recognize warning signs of suicide and refer students to resources. The university also plans to bring counseling services to more campuses. 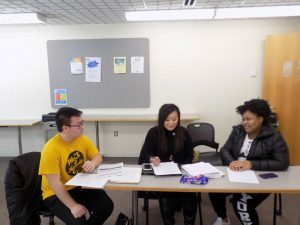 Currently, the St. Paul campus houses the Student Counseling Services office where students can obtain free individual and group therapy appointments.